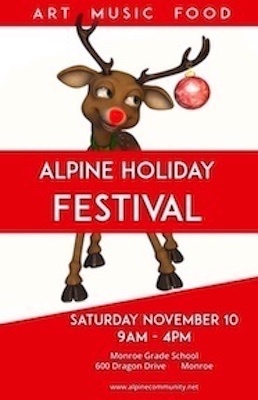 ← 16TH ANNUAL ALPINE HOLIDAY FESTIVAL!!! SPARKLE AND GLITTER, WE’VE GOT IT! COME ON DOWN TO MONROE AND JOIN US FOR FUN, FUN, FUN!